I have been with my husband for 20 years now. He IS verbally and emotionally abusive. I am not looking for advice on getting out right now. 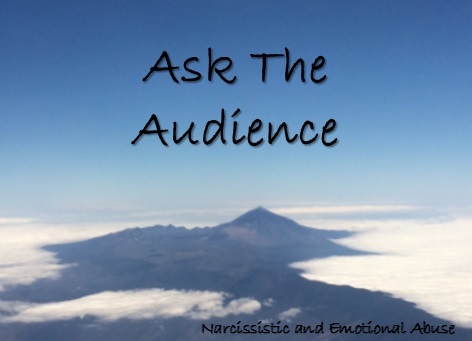 My question is…he claims that I am also emotionally abusive to him but I do not agree. I try to compromise with him on things when I don’t agree with him on something. Of course when he doesn’t agree he becomes abusive. I can have an argument without making personal attacks. He cannot. I DO control our money. If I do not he will blow it on unnecessary things. Sometimes things that are consumed by him alone and have no benefit to the family and there is nothing to show for it later. Sometimes it’s things that he may keep but again it’s not something he needs. I have no problem with him fulfilling wants but as an adult we all know that we cannot have everything we want at all times. Is it abusive that I have started to control our money? I mean one example is he got into our tax money and spent 200 on games on his phone. I think that’s ridiculous. Then he now wants to buy a 1200 computer. So frustrating. Narcissists project their own qualities onto you. He’s using a manipulation tactic to win an argument. You can try to set boundaries with them, but they will throw a tantrum. The financial abuse can wreck you, so the only way to save yourself is to save money for yourself, seek counseling. You will need it. What you describe is not abuse. It’s being responsible. Don’t let his grumblings make you feel guilty and deter what you know to be the right thing to do. From a man’s point of view they look at it as emasculating and controlling. If the shoe was on the other foot he would have a very different opinion. If he’s not willing to let you oversee the finances since he has no self control over his spending then maybe hire a third party to be the fall-guy.